The majority of snowbirds choose to rent accommodations instead of buying a vacation property when first starting out, which is certainly the wise thing to do. The general rule of thumb is that if you’re only going to stay 3 months or less, then renting makes more sense than owning in terms of costs. Once you get into the 4-6 month range, you may want to consider buying, as you can usually do so for the same price or less as renting. But renting is much smarter initially as it gives you the freedom to explore different destinations, neighbourhoods and types of accommodation. However, the pressure is on for renters looking for rentals in many areas of the Sunbelt, as demographics see more and more people born in the Baby Boom years retiring and looking to winter in the south. This has pushed rental rates upwards and has made finding a place much more difficult. If you want to go away next winter, you need to start looking and booking a year ahead. Most owners of rental units give preference to their existing renters for the following year. Landlords also prefer someone looking for a minimum 3 month rental, so if you’re thinking of just renting for one month, you may have a tough time finding something. Our Top 10 Snowbird Accommodation Tips can help you navigate the rental market, secure a rental, save money and avoid pitfalls. There are many sources for finding short and long-term rentals for snowbirds, and with so much competition out there, we suggest using all of them. The most common place to start is online with websites that specialize in accommodation rentals and local classified ads. 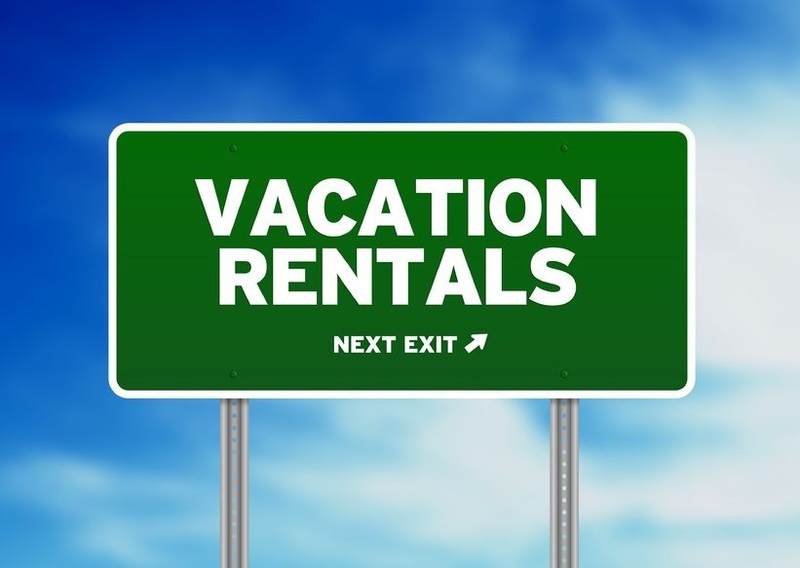 There are also many rental companies and real estate agents in snowbird destinations who have experience helping snowbirds find vacation rentals. Word of mouth is also excellent, so be sure to ask any of your friends who have been renting for a while. Finally, if you’re already in a destination, you can check notice boards in supermarkets, condo buildings and local newspapers, as it’s never too early to start looking at options for next year. Remember to search often and check multiple websites, as things change, new rentals always come on the market and some properties come back on the market due to cancellations. Remember, it’s buyer-beware with most accommodation websites, as photos can be deceiving and sometimes there is fraudulent activity by scammers offering rentals they do not own. Ask for references and check them out before sending money. This is a big topic. You’ll need to consider your budget and your priorities to help determine where you will want to rent. Do you want to be on or near the beach? Do you want to be in a golf community? Do you want cycling trails, walking trails, boating, fishing, hiking nearby? Consider what the community offers and whether any of the following are important to you --movie theaters, outlet malls, flea markets, concerts, shopping and nightlife. If you’re willing to go just outside prime locations (ie. a few blocks away from the beach instead of right on it) you can often find considerably better rental rates. Are you looking for an apartment, a villa or a house? Obviously, the larger the space you rent, the more it will cost, so think about what you need and how often you might have visitors. Apartments and condos are by far the most common rentals and the normal size is 2 beds/2 baths. If you really want to keep costs down, you can look for manufactured home communities and RV parks where you can rent. There's a wide range of monthly rental rates and a lot will depend on where you are looking. Monthly rentals can run anywhere from about $1000 to $6,000 a month and up in January, February. and March. Prices can be slightly cheaper for November/December and sometimes April. You can also try asking for a small discount off the monthly rate if you’re renting for 3 months or longer. Make sure you inquire about all the amenities that come with your rental such as a balcony, terrace or lanai, parking, swimming pool(s), hot tub, golf, tennis, restaurant/club house, activities, bicycles, BBQ, telephone and Cable TV, DVD player, Wi-Fi, printer and anything else that’s important to you. You will be asked to sign a rental contract. Some of these can be quite comprehensive and contain complex legal language. Fortunately, most landlords use a pretty standard agreement. If you do have any questions about the rental agreement, ask your lawyer before signing. Be sure to check for the cancellation terms. Is the deposit refundable? How late can you cancel with or without penalty? What are the penalties for cancelling? Are all the amenities listed? Does it outline who’s responsible for utilities? Are there any usage restrictions? Also check carefully for when you can access the unit, and when you have to vacate the unit. Normally a monthly rental means you have access on the 1st of the month and have to depart on the last day of that month. Landlords will expect a deposit of about US $500 to hold the unit and you can expect to also have to pay the final amount 60 days ahead of your arrival. Also, many landlords will ask you to pay a cleaning fee and/ or security deposit (which may or may not be legal, depending on local laws). Once you’ve paid, you will get instructions where you can pick up a key, or you will be sent one in the mail. If you love the unit you have rented, one way to endear yourselves to the landlord is to take good care of the place, do any small maintenance jobs that need doing, and alert the landlord to any problems immediately, and especially anything that might affect your security deposit. Treat the rental unit as you would your own home. Be sure to ask your landlord immediately upon arrival (assuming you like the unit) if it is available for the following year. The rental market is extremely competitive, so don’t wait to do this.